These lovely moonstone earrings have stones that measure 18mm in an oval shape and have a wonderful pink luminous tone to them. 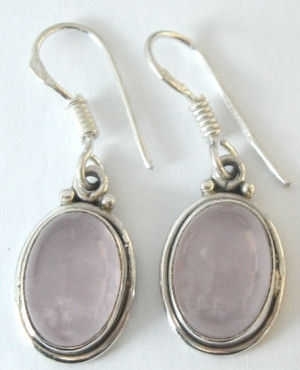 The silver is excellent quality and is plain around the moonstones which have fittings of sterling silver. Buy the pendant and earrings together and get 10% discount and only 1 P&P to pay.